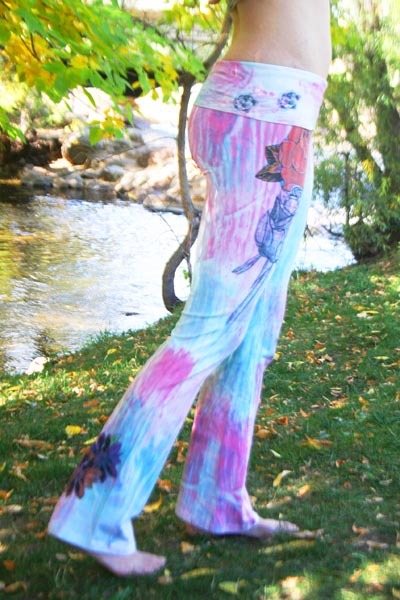 Limited run super soft yoga pants embellished with rose bud tattoos and rose petal sketches. Remember, you can always create your very own from scratch in our DYO section. We make the process super simple and quick! Note: Every yoga bottom is made to order by an artist. Artistic inconsistencies make every reproduction unique and yours. No one else will have pants quite like yours. Artistic inconsistencies make every reproduction unique and yours. No one else will have pants quite like yours.